Our mission is to serve as a coordinating committee that will select and actively support social justice projects, while encouraging participation by all church members, as we jointly serve as a beacon and enabler for social justice and activism in our community, state and nation. 157 schools citywide are now using Restorative Justice instead of arrests for youth behavior problems. Offenders go through a process that includes apologizing, doing something to make things right, addressing root personal problems, and eventually serving on a Student Accountability Board when other students offend. 4 Neighborhood Accountability Boards have helped set over 300 youths on the right path. 3 more Neighborhood Accountability Boards are planned in cooperation with the Teen Court. Jacksonville Re-Entry Center for ex-offenders has increased its funding from $600,000 per year to $1,500,000 per year enabling it to serve 600 more people each year, 1,600 total. The Homeless Day Resource Center is not a dead issue in spite of resistance faced in Jacksonville. Similar efforts in other cities, particularly New Orleans, have significantly helped many homeless persons regain their footing in life. It can happen here also. Planning for a central market in the Soul District with several value-added components is moving along. Over a million dollars has been raised; land has been purchased; zoning and drainage have been addressed. Much detailed planning and action to both build community support and focus the business plan are underway. A major survey is next on the agenda. 4 ICARE Team Leaders held 4 House Meetings in Sept. and Oct.
23 persons became BBUUC Justice Ministry Network Members. 11 Network Members attended the ICARE citywide Community Problems Assembly in late Oct.
6 Network Members attended the ICARE Research Kickoff in early December. 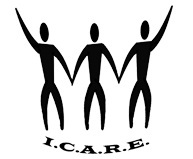 4 Network Members subsequently remained active members of ICARE research committees on the Homeless Day Resource Center, Crime and Re-Entry, Restorative Justice for Youth, and Wealth Building Research Committees. 18 Network Members attended the BBUUC Justice Ministry meeting in early February. 11 Network Members attended the citywide Rally in mid-March. 61 BBUUC members and friends attended the citywide Nehemiah Assembly in late March 2017. 23 of these attendees rode the bus from BBUUC to Abyssinia Baptist Church and back. The Kickoff for the ICARE Investment Drive will take place at the Celebration on May 9. 9 BBUUC Justice Ministry Network members attended the Celebration last year. Planning for an employee and/or consumer owned cooperative grocery in the Soul District with several value-added components is moving along. Over a million dollars has been raised; land has been purchased; zoning and drainage have been addressed. Much detailed planning and action to both build community support and focus the business plan are underway. A major survey is next on the agenda. Approximately 20 BBUUC people, one well decorated car, and a well decorated dog represented BBUUC in the October Gay Pride Parade. Our participation was co-sponsored by Social Action, CUUPS and the Welcoming Committee. $1,710 in cash and $272 in advance book sets were donated by BBUUC members and friends for this project. The goal was to place culturally appropriate children’s books in locations where children will read them in neighborhoods of Jacksonville where children’s books are in short supply. We partnered with 8 establishments where children come with their parents in the 32208 and 32209 zip codes. We supplied 2 copies each of 15 culturally appropriate book titles and a bookshelf. They supplied the setting where these items will be read by children. Esquire Barber Shop. Proprietor: James B. Allen, 1807 North Myrtle Ave., Jacksonville, Florida, 32209. (904) 358-3142. Top Notch Cut. Proprietor: Rod Daniel, 3002 N. Myrtle St., Suite 2, Jacksonville, FL 32209, 904-738-7847. Superb Cuts. Proprietor: Jeff Rivers II, 1268 Edgewood Avenue West, Suite 2, Jacksonville, FL, 32208. 904-982-1790. Mop City, Proprietor: Kenny Hoss, 4330 Moncrief Road, Jacksonville, FL 32209. 904-485-7600. Jacksonville Beauty Institute. Ms. Sonia Craig, VP for Student Affairs, 5045 Soutel Drive # 80, Jacksonville, FL 32208. 904-768-9001. Spin City Coin Laundromat and Dry Cleaning. Mr. Joshua Aaron, 1756 W 45th St, Jacksonville, FL 32209. 904-410-3010. Queen Nails. Mr. Kenny Chau, 5751 N Main St # 108, Jacksonville, FL 32208. 904-358-7352. Jacksonville Community Center – Joseph Lee Center. Rev. Sirretta Williams, 5110 Perry Street. Jacksonville, FL 32208. 904-866-7047. 10 people attended a workshop on the Electoral College led by Pam Edward-Roine. Much digging into the U.S. Constitution resulted in new understandings of how the Electoral College originated and evolved. A follow-up workshop may be held in summer or fall. A workshop is planned for fall on the UUA publication “The Real Rules: Congregations and the IRS Guidelines On Advocacy, Lobbying and Elections.” The goal is to build a common internal understanding of what we can and cannot do regarding political advocacy in church sponsored publications and social media outlets. This guide is available now for download from the Unitarian Universalist Association on the page at http://www.uua.org/action/realrules. BBUUC members and friends are encouraged to participate in family-centered Earth Day activities and report their experiences on the BBUUC Facebook page. As of this writing, the plan is to include some of these stories in the worship service on April 23. Many ideas from the UUA for Earth Day are available at https://www.uua.org/occasions/earth-day. The committee met at noon on the first or second Sunday of most months. Meetings are open to all BBUUC members and friends interested in Social Action projects and willing to take help with any new initiatives they would like to see happen. Thanks to all who participate in or otherwise support the efforts described above. When we all work together, GREAT THINGS HAPPEN!